Excellent for students who need “emergency” Chinese lessons to quickly grasp the fundamentals of Chinese and navigate life in China, our survival Chinese lessons are customized to meet the needs of non-native speakers living in a Chinese-speaking country. Interactions will become much easier once students enroll in this survival Chinese course, and conversational and grammar skills will be taught to suit an array of daily life situations. Students will also learn via role-playing and engaging in vocabulary activities. 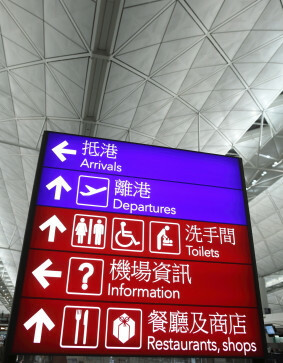 Our survival Chinese course will help students give and understand directions, go shopping, order at a restaurant, visit the doctor, go to the bank, go to the pharmacy, book a hotel room, and navigate the airport. People with specific needs in learning Chinese can simply state what they wish to focus on, and we will include this topic in the survival Chinese lessons to give you the resources you need. We will mainly use Pinyin to teach survival Chinese lessons and there is a constant focus on the tones to ensure your pronunciation is clear and correct. We also use our link word method to help you quickly start accumulating a wide-ranging vocabulary. It will help you to use what you have learnt in the classroom on the streets. Your pronunciation and tones will be quickly improved and in no time at all you will be able to easily communicate. I’m impressed about the way the company work and organise things, which is simple and very effective. I love this kind of teaching way. And my teacher understands the professional Chinese linguistics and language acquisition knowledge. It`s really very helpful! Now I`ve mastered basic survival Chinese. I`ll go to China on June soon. I can`t wait to see you guys !